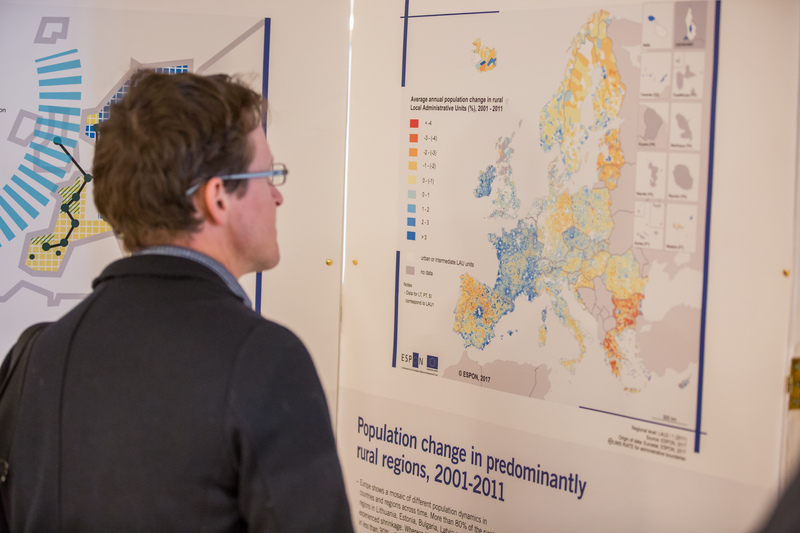 Europe is facing major challenges in terms of demographic development. 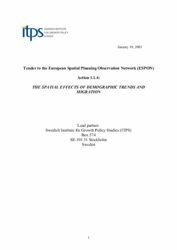 Effects of the demographic changes and ageing of the European population is expected in many spheres of society and is diverse from region to region. 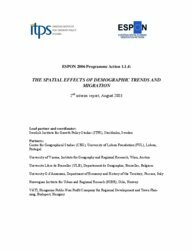 Demographic trends approached include natural population trends (births, death, age-structure), migration on large scale and regional/local migration. The latter is of particular interest as peer groups tend to have very different migration patterns. Another observation is that the attitude and migration of cohorts is changing over time. That relates, in particular, to the third age. 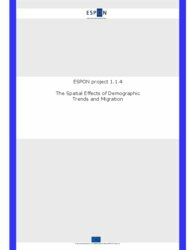 The demographic trends together with migration and increasing mobility cause severe impacts on the territorial development and the division of labour between regions. 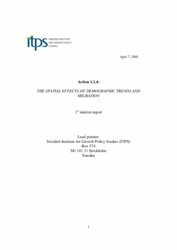 These trends might be affected by migratory movements related to the enlargement of the EU. 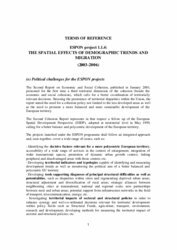 A typology of European regions show diversity of situations concerning demography and migration that the regions of Europe face. Swedish Institute for Growth Policy Studies (ITPS), Stockholm (Sweden). 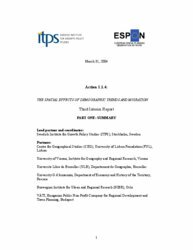 Detailed information on the contracted project team under Transnational Project Groups.